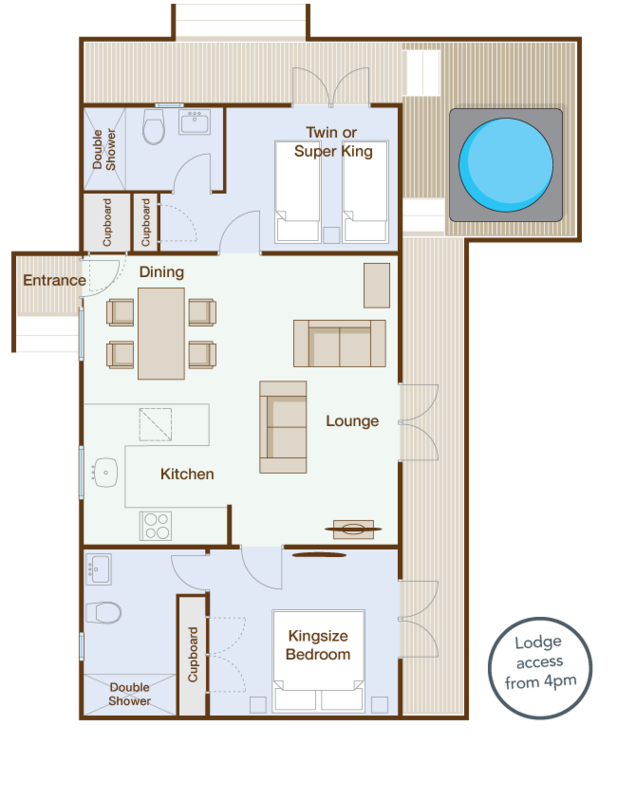 These two bedroom holiday lodges have master bedroom with pocket sprung bed with large en-suite bathroom. Large open plan kitchen, dining and lounge area. This luxury holiday lodge is perfect for two couples or a small family group. 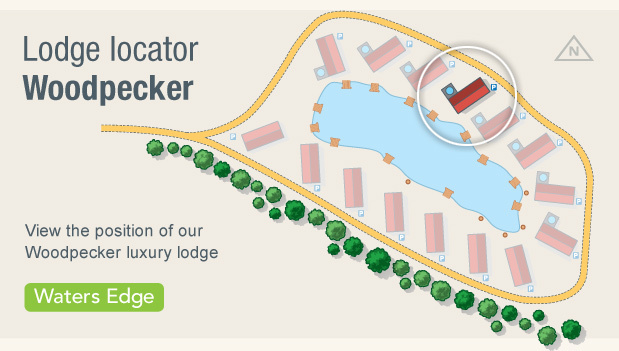 Download our Woodpecker Lodge Layout & Location PDF.